When you have a wheat allergy, sometimes you get really bored of Ryvita, rice cakes and the like. 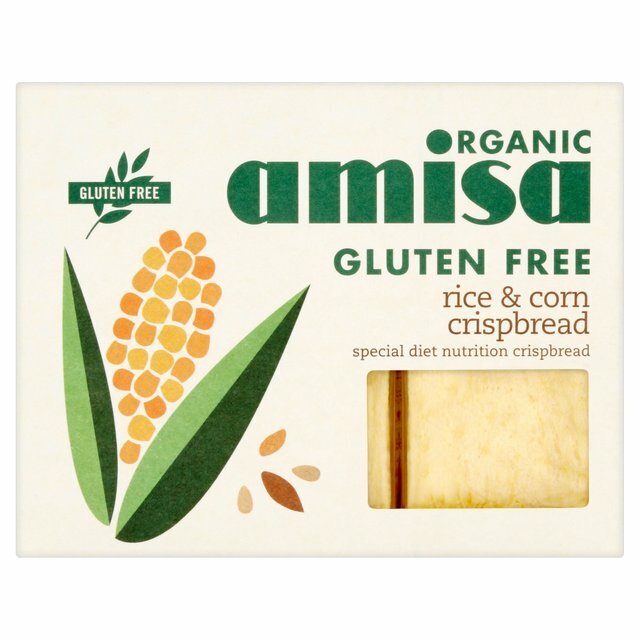 So Amisa’s organic rice and corn crispbreads are a refreshing addition to the lunch table and really make for a tasty meal or snack. They are nice and crispy, and have a very delicate flavour, so they don’t overpower everything you top them with. Softer than Ryvita, but not so soft that they are soggy. My favourite way to eat them is with a nice spreading of olive tapenade, or houmous and freshly sliced tomatoes. Of course, one of the best things about these crackers is that they are organic and made with the best quality, non-refined ingredients. All Amisa gluten free products are batch tested for gluten – so you can trust and enjoy them without any fear of contamination. At just £1.89 from Ocado, and other retailers, they are great value for money. A wonderfully ethical company, with very tasty products. You can find out more about Amisa and view their full product range (including very tasty porridge oats) on their website. Previous Post Reduce Waste… Never Buy Cotton Wool Pads Again!